The festive season is just around the corner and all of us are thinking of innovative ways to decorate our homes for Diwali. Festivals are supposed to cleanse out the evil and bring in new beginnings. This is why we follow the process of cleaning out our homes, by getting rid of unwanted dirt and negativity. After this, we decorate our homes to welcome Gods, Goddesses, and positive energies into our lives. Lamps and lights can make your home look bright and festive. They are among the easiest house decoration ideas. You could opt for traditional lamps with wicks or lamps with electric lights. Available in multiple shapes, sizes, and color, they add a warm and inviting atmosphere to your house. 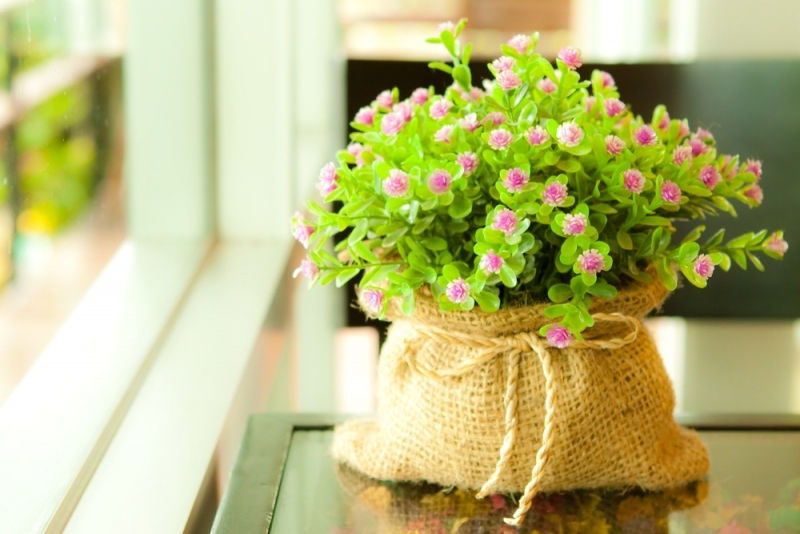 Another home décor tip is to use fresh flowers. A traditional display of flowers in the form of a Rangoli will appeal to your guests. You could also place fresh cut flowers in vases at significant corners around the house. They look lovely, smell refreshing, and add natural life to your home. With a beautiful looking vase with flowers, you are sure to make your living room look elegant. Did you know a simple change of window curtains can change the complete aesthetic of a room? This is another excellent house decoration tip for Diwali. Curtains can make your room look festive, warm, wholesome, and inviting. You can choose from a wide range of window curtains in a variety of materials, patterns, and colors. If you want to add some brightness to your room, you should opt for the Yellow Cotton Solid Eyelet Window Curtain by Swayam. Made of durable cotton, this curtain comes in a bright yellow solid shade. It will instantly add a pop of color to your room and contribute to a festive look. If you prefer something in ethnic patterns, choose the Ethnic Motif Polyester Window Curtain by Deco Window. These curtains will add a traditional touch to your room, contributing to the celebratory aura of your home. They are a perfect addition to your home decor this Diwali! So, there you have it. With the help of a few simple things, you can easily make sure that your house is ready to usher in the festivities. Also, don’t fret about the number of things you would have to buy. Pepperfry is a good online shopping site where you can browse through a wide variety of home decor items to decorate your house.